Much is made of the "Harlem Miracle," referring to a charter school run by the Harlem Children's Zone. Operating on a $36 million budget, the HCZ Promise Academy serves 600 students. I did a little math I learned it in public school: $36 million divided by 600 equals $60,000. Per student. And the agency director, Geoffrey Canada, pulls down a sweet $400,000 a year. Most public schools ain't broke and don't need to be fixed. They just need to be treated as charter schools. Gov. Chris Christie wants a 2 percent cap on total compensation (salaries and benefits) awarded to local employees, while Democrats say that is too harsh. Given rising health costs, meeting a hard 2 percent cap could force salary cuts year after year. Gee, maybe we should do something about those rising health costs then, huh? No? Not interested? There is room for reasonable compromise. The salary cap could exempt health and pension costs, as the cap on property taxes does. So, we want the cap to keep property taxes down. But we know that health care costs are the big driver, and that's exempted from both the tax and salary caps. But we need those caps. Even though they won't contain the cost drivers. Because we need them. To control costs. Except the costs that really count. But a salary cap is needed, despite the resistance of old-school Democrats. The bargaining rules have been rigged against taxpayers for too long, leading to ruinous increases in the regressive property tax. Oh, so the "regressive property tax" is ruinous. Gee, maybe we should fix that instead, huh? No? Not interested? It is true, as Democrats says, that some progress has been made since former Gov. Jon Corzine passed a weaker version of a property tax cap, putting downward pressure on wages. Since 2005, binding arbitration awards for cops and firefighters have ranged from 3.96 percent in 2005 to 2.45 percent in the last six months of 2010. Hey, I can think of something else that put "downward" pressure on wages: the economy. Teacher contracts are down to raises below 2%. Of course, if teacher wages had kept pace with the average wage in New Jersey over the past two decades, teachers would be making MORE money than they do right now. Assembly Speaker Sheila Oliver and Senate President Steve Sweeney have both signaled a willingness to compromise. The governor may be tempted to take a hard line, even if it results in stalemate, and to use this issue to win Republican seats in next year’s election. That would lead to massive layoffs next year. Our hope is that he instead compromises, as he did on the property tax cap. This year, at least 20 of New Jersey’s best boys players — kids from Kinnelon to Cranbury to Barnegat — have ditched their high school teams for the academies, adding soccer to the list of individual sports such as tennis, swimming and gymnastics that have seen many elite athletes simply leave behind their high school competitions. 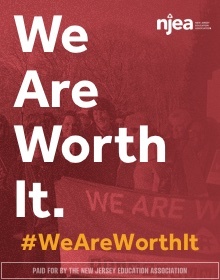 What’s more, the decision-makers behind the academies only see this heading one way. Expanding. “In this country, what has been for maybe 100 years, it’s still the playing for the local town and having people on a Friday night come and watch, the excitement of being in school and knowing who you are, the leather jackets, the pep rallies,” said Rick Jacobs, who coached at St. Benedict’s Prep and now works for MLS. I disagree. Nike doesn't sell shoes just to elite athletes; they've expanded their market by selling dreams to those outside of the elite. There's a market for these academies, and they will spring up faster than weeds. The next tier of kids will start going to the next tier of academies, or the academies themselves will organize like dance companies, with competition to get into the higher levels. There's just too much money to be made for it to be otherwise. My kids have played soccer for years and I see this all the time. Kids stop playing for their local clubs as earlier as 4th Grade so they can go to the "elite" soccer centers and get "better" training. Why would they take a different attitude when they get to high school where the coach is a math teacher? Bob Bigelow has been talking about this for years: the kids go up through the "travel" system, parents get used to spending thousands for professional training and fancy uniforms... and then they get to high school, with hand-me-downs, a three-month schedule, and part-time coaches. No wonder they feel like leaving. The parents have been trained for years to shell out cash and drive all over creation. Why would they stop just when their kid is hitting his or her athletic peak? I don't know if this can happen in every sport. It would be tough to have a football academy, and very often you don't see the standout kid until he's finished his growth spurt anyway. But I predict basketball will be following this path; in fact, it's already happening with the AAU teams. And we are certainly seeing the demise of the multi-sport athlete. I find it sad. You seem to assume, JJ, that I don't factor the effects of poverty into the equation of school performance. Of course I do. But here's the thing: Bruce and other apologists for public urban education insist that the we can't increase achievement without ameliorating poverty and that kids in Willingboro can't succeed until we do. I think that the only way to ameliorate poverty is to improve education and the kids in Willingboro can't succeed until we do. We're all on the same side -- Bambi and Godzilla included -- but we let politics get in the way. BTW, I think great teachers should be paid far more than they are now. Thanks for stopping by, Laura. As I said, I do not question for a minute your commitment to kids in tough circumstances. First a question: Let's assume that we get to the point where every child in NJ has a great teacher. Do you think then that the total payroll of teachers should then be higher than it is right now? 1) Have no evidence to back them up. 2) Will probably cause more harm than good. If someone has good, well-researched, well-reasoned arguments to the contrary, let's hear them. The sad truth is they don't exist - at least, I haven't seen them. What IS abundantly clear, however, is that conservative politicians like Chris Christie are happy to use the "reform" arguments to push through an agenda that is nakedly political. It is quite clear to me and anyone who looks at this issue that Christie wants to break the unions so he can decrease the payroll of teachers in this state and keep the wealthy from having to pay their fair share of taxes. No one seriously believes he wants to INCREASE the total teacher payroll. Well, if all kids deserve a great teacher, and not all teachers now are great, how will decreasing the teacher payroll help? The primary purpose of this blog is to document this scheme of his. If I do say so, I think I've done a pretty good job of making my case. Teachers like me have absolutely no reason to believe he has our best interests - let alone our students' - at heart given what I've reported here over the past several months. Further, he continues to impugn our motives while he implements these unproven plans. Frankly, I'm sick of it. The impetus is on HIM to show that what he proposes will transform NJ's urban schools. But, over and over again, his assertions come up short. So, no, I reject the idea that WE let politics get in the way. I just want to be able to do my damn job. He's the politician, not me. I didn't want this fight, but he clearly did. HE's the one who made this a political dogfight, not us. Well, fine then - bring it. But don't ask me to hold hands and sing Kumbaya with reformers who are providing him with the cover to decimate my profession. Again, Laura - I believe you have the best interests of your students at heart. I admire your commitment to the kids most of our ruling elite stopped caring about long ago. But you're being used. And I'm going to call the people who are using you out on it. P.S. Snark is part of the blogger's art. "Bambi" is a term used facetiously - I think that's self-evident. No implication should be drawn other than I'm an old guy with a bunch of silly cultural references running around my cerebral cortex. "Whatever the current system is, it’s not working," said Derrell Bradford, executive director of Excellent Education for Everyone and a task force member. "The hurdles to evaluating someone effectively are so high." Derrell Bradford. Is on a task force. That will look at evaluating teachers. Appointing Derrell Bradford is like appointing a homeopath. Monthly Nightlife, Music, Entertainment, Bar Club and Lounge Guide for Early Adopters. Weekly Visitor Guide in 150 Hotels with Three-Million+ Annual Circulation. Yeah, I guess being a nightlife editor gives you a unique perspective on teacher effectiveness. Seriously, the fact that this guy is on this panel is an insult to teachers across this state. It turns the Task Force into a bad joke. ... but he NEVER mentions the median salary of a NJ Teacher: $57,467. Does he think that maybe people will hear that and say, "You know, that's not really a lot for someone with a college degree"? I propose a new drinking game: every time Chris Christie mentions the median teacher salary, take a shot. I promise, you'll stay sober as a judge. Don't EVER Ask Teachers About Education! Brian Zychowsky was an intriguing choice to lead Gov. Chris Christie’s new task force charged with devising a statewide system for evaluating teachers and principals. At one point said to have been on Christie’s short list to be state education commissioner, the North Brunswick school superintendent said he’s open to the ideas of merit pay for teachers and better ways of linking teacher performance with student performance. The committee includes a Perth Amboy teacher with the American Federation of Teachers, but none from the New Jersey Education Association, by far the state’s largest teacher union. Peggy Sue Juliano, Executive Board Member of the Lacy Township High School PTA. Chairman: A hospital administrator who no longer practices medicine. A doctor who is not a member of the AMA. An administrator for a hospital that never takes chronic cases. A med school professor who no longer sees patients. Another doctor who is not a member of the AMA and spends most of her time administrating. A hospital trustee who is not a doctor. Another administrator of a hospital; this one kicks out patients if they won't get better. ADDING: I forgot Darrell Bradford. That's like appointing a homeopath. ALSO: Oops, looks like I counted Chiera twice. Don't blog while taking breaks from raking leaves. Here’s one way to get through the rational albeit provincial resistance from leaders of high-performing districts. Let’s just say, we have schools that are among “the very best in the nation.” But we also have schools that are among the nation’s worst. We’ve made this distinction for years, primarily through the State Supreme Court Abbott decisions, which mandate that we fund our poorest districts (recently revised to poorest students) at the same rate as our wealthiest. Why not take this acknowledgement of inequity to its logical conclusion and implement reform efforts -- charter school expansion, school choice, higher compensation for great teachers, data-driven instruction -- in our chronically failing districts? Surely school leaders, legislators, New Jersey Education Association (NJEA) executives and the DOE can coalesce around charter school expansion in Pleasantville and Trenton; merit pay in Camden and Plainfield; or tying student growth to teacher evaluations in Newark and Asbury Park. While state-wide school reform will eventually come to New Jersey, our poorest students can’t wait. Targeting progressive educational strategies to failing schools may be politically distasteful, but it’s the only way to get those kids under that big white tent where they belong. In short, the author is explaining in the first part of the editorial that many wealthy, successful New Jersey school districts haven’t supported aggressive statewide “reformy” strategies because they want no part in those strategies in their own districts. The same districts have been tentative about expanded choice for inter-district transfers. But, as this editorial argues, these districts should band together… should coalesce, to RAM DESTRUCTIVE, ILL-CONCEIVED POLICIES DOWN THE THROATS OF THEIR POOR URBAN NEIGHBORS. That’ll fix ‘em! And without comparable adverse effects on their own districts! I must say that this is about the most offensive call to arms I believe I’ve read in recent months. Yes, I’ve read some absurd arguments, like the argument that the “upper half of charters is better than average” or the argument that if current teacher evaluations are flawed, then the only answer is to replace them with student test scores (and other absurd false dichotomies). The present NJ Spotlight argument begins with a deeply distorted, selective “factiness” about the failures of New Jersey’s urban districts (some of the nation’s worst! evidence?) and reasons for them (not enough charters, and no merit pay for teachers) and then jumps quickly to the most extreme and dreadfully oversimplified representation of the solutions (solutions, mind you, that may be far worse than the “disease”) to all of our – excuse me – their problems. All when I thought that I might be getting too tough on the overly simplistic, bombastic and misguided logic of reform. The point isn’t whether there is a perfect solution out there. Newsflash: there’s not. The point is that across America there’s a growing recognition that our public education system needs to change. (Heck: even Randi Weingarten, President of The American Federation of Teachers, supports Race To The Top.) Teacher evaluations will include value-added data. School choice will expand. Teacher unions will eventually move past industrial labor models and treat members like professionals. Pay will be differentiated. Technology will transform classrooms. Defending the status quo from misguided reformy types may be fun, but it's sort of like arguing that our agrarian school calendar, holidays coinciding with harvesting time, is relevant to the 21st century, or that the only useful model for education is one teacher in front of a desk-lined room of 25 kids. Truly, Bruce, I respect your work. 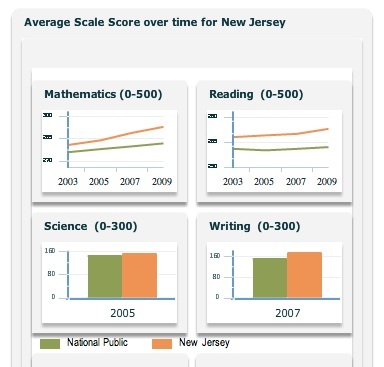 But do you really think that the NJ's traditional educational system is working well for kids in Camden, Newark, and Trenton? If not, what should we do now? Suppose I go to the doctor with a headache. He says, "Here, take this experimental antacid, but be careful, it may cause stomach bleeding." "But, doc, how's that going help my headache? And why put me on something dangerous that doesn't solve the problem anyway?" "Listen, you said you have a headache - we have to do SOMETHING. Just sitting around doing nothing is not acceptable." This is Laura's - and pretty much the whole 'former world's - argument. The urban schools are not getting the same results as the 'burbs; therefore, we must implement solutions that all the best evidence says will not work because it's better than nothing. No one - ESPECIALLY Bruce Baker - is "defending the status quo." What some of us are saying, Laura, is that maybe the diagnosis is wrong, and, therefore, the proposed cure makes no sense. Example: a student in Moorestown, a wealthy Burlington County district, attends a public high school that offers 22 AP courses. Just about every student passes the state assessments. Nine miles down the road in Willingboro, also in Burlington, a student attends a high school where in 2009 exactly one student successfully completed an AP course. Only half the kids passed the standard state assessment. Same state. Same DOE. Completely different set of educational opportunities. Separate but equal would be an improvement for Willingboro’s kids. Laura, are you going to look at us with a straight face and claim that only one kid passed an AP in Willingboro because the kids there have a "completely different set of educational OPPORTUNITIES"? That, somehow, the school is the primary difference in the lives of kids from Willingboro versus Moorestown? I've never doubted the commitment of people like Laura Waters to the kids in Abbott districts. But rhetoric like this only serves to empower charlatans like Chris Christie, who tout "solutions" like merit pay and charter schools that are really designed only to break the backs of teachers unions. Anybody who's watched this debate carefully knows that "merit pay" is a code word for "less pay." The undeniable goal is to bring down the average teacher salary across the state; same with charters (although the aristocrats who fund his campaign are also happy to "smell the money" coming off of the charter movement and are licking their chops at the thought of the Haliburtonization of our schools). - Stop funding education through regressive property taxes and start funding it through progressive income and corporate taxes. - Demand the Fed fulfill its mandate for full employment so we can stop much of the economic uncertainty these children face every day. - Implement living wage laws. - Implement nationwide health care like every other industrialized nation in the world. - Take a good part of the savings from that and use it to pay teachers more so the labor pool grows and competition to enter the profession intensifies. I can hear the response now: "You live in a dream word, Jazzman! Don't you see the polls? This will never happen." "$25,000 to $30,000 per pupil per year, depending on the city, and how you calculate the number..."
Yeah, "how you calculate the number" might have a little something to do with it, don't you think? "... but in any respect, it is a king's ransom for the type of failure Peter just talked about." If this is "failure," we need to bottle it and sell it. "And that is awful from a fiscal perspective. And we need to do better with that money, and we can do better with that money through some of the reforms we've talked about. Merit pay..."
Merit pay, which doesn't work. In the first scientifically rigorous test of merit pay, Vanderbilt scholars offered between $5,000 and $15,000 to Nashville math teachers whose students scored higher than expected on a statewide exam. But the incentive was a bust, they found. Except for some temporary gains during the three years studied, students did not progress any faster in classrooms where teachers were offered bonuses. New Jersey Charter Schools in particular are pretty average and those that are better than average serve very few of the lowest income children, no special needs children and few or no limited English proficient children. "I don't know which one of you out there in the private sector are getting 5% raises, but I don't think it's many of you." A report by the New Jersey School Boards Association shows that for all new teacher contracts settled since January, the average salary increase is 2.03 percent, the lowest in more than 30 years. For contracts settled since April, the average increase on the typically three-year contracts is even lower, at 1.6 percent. Eighty percent of the 198 contracts that expired in June still have not been settled, but school officials said it is typical for negotiations to continue into the new school year. "Also, the overwhelming majority of teachers pay nothing, zero, for their benefits. Zero! I don't know how much you pay for your health benefits; I'm sure it's more than zero." This is what comes from electing a governor who knows nothing about economics and has never run a business. Is there any real difference to your employer if he offers you a $100,000 salary or an $85,000 salary and $15,000 worth of health insurance? Compensation is a TOTAL package. Of course the teachers "pay" for their benefits, by giving up salary. That's one of the reasons why teachers work 5/6 of the time the comparable private sector does yet make only 2/3 of the money. "Full family medical, dental, and vision coverage, from the day they're hired until the day they die." The state health plan calls for one eye exam a year and $100 toward glasses - is that "full" vision? The dental most teachers are offered is so expensive they self-insure. All plans offered to teachers have co-pays, deductibles, and out-of-network expense. It's decent insurance, but hardly "gold-plated," and certainly not "full." "This year, in my state budget, $850 million dollars for retiree health benefits. $850 million dollars." You know, Chris, you'd think you'd want to do something about that. You'd think maybe the insane rise on health care costs over the past few years would worry you. You'd think you'd be worried about the effect of these raises on property taxes. So, how many health insurance CEO's have you called out on this? At least as many as the number of teachers you've excoriated, right? He then goes on a little rant about his daughter, Bridget, coming home from school, pretending to be upset that her teacher isn't getting a raise. Do you have neighbors who work for the state government? Curious as to how much they earn? 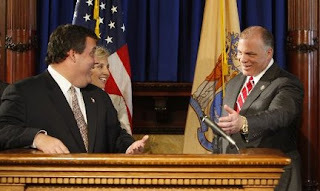 Check out the public payroll on www.yourmoney.nj.gov and look them up. The site, which is run by the NJ Treasury Department, is a Christie administration effort to ensure data transparency for the budget and operations of the state government. The site includes budgets by departments, public payroll by employee name and even a running tabulation of how state departments are performing according to metrics they and the governor have drawn up. (This last feature is in the early stages.) NJSpotlight’s Number of the Day aims to use the tool frequently and to make sense of some of the data that’s provided. And the $140,000? That’s how much Andrew P. Sidamore-Eristoff, the state treasurer, earns from his state. Wow, you mean I can have a job where my neighbors can find out how much I make? For real?!? Click through and watch the video if you can stomach it, then come back here. The morning that I was sworn in as governor, we heard a rumor that Governor Corzine was doing some stuff with the finances of the state on the way out to give some presents, Jersey-style, to some friends on the way out. So, we heard he was going to wire transfer a few hundred million dollars to some of the major cities of New Jersey so they could get that money before the Big Bad Wolf came to Trenton. TRENTON -- A state legislative committee this morning funneled $44 million to a fund for distressed cities, on top of $117.4 million in aid already budgeted, less than a week after Gov.-elect Chris Christie said he would eliminate that type of aid when he takes office Jan. 19. "Seriously, there's eight days left. Can he please keep his hand out of the cash register for the last eight days?" Christie said. "We're in a situation now where we are going to be unable to meet payroll in March. He's now taken $44 million more off of the payroll of state workers for March. That's what he's done. He's put us $44 million closer to insolvency. Now, I guess since he's leaving office he doesn't care. But it is my job to care." OK, that's $44 million, right? And a total of about $150 million. Does that sound like "a few hundred million" to you? Oh, and may I point out that even this didn't stop him from still giving a $600 million gift to the state's millionaires? The money, called special municipal aid, has for decades been used to help cities that can't make their own budgets. This year, $117.4 million was initially budgeted by the Legislature and governor, and nearly $28 million has already been given out to Newark, Harrison and Asbury Park by the Local Finance Board, which oversees the program through the Department of Community Affairs. On Wednesday, the board is scheduled to vote on aid for five cities. Board Chairwoman Susan Jacobucci has recommended $27 million for Paterson, $2.25 million for Bridgeton, $11 million for Union City, $67 million for Camden and $14 million for Jersey City. Jacobucci said the state needed the extra $44 million to be able to meet the needs of other cities while fulfilling its legal obligation to Camden, which is under state fiscal control. The Legislature today is supposed to vote on returning broad powers to Camden's newly sworn-in Mayor Dana Redd. The extra money is coming from a surplus identified by Corzine as part of his "December solution." To deal with a $1 billion deficit in the current $29 billion budget, Corzine in December announced he had stripped $839 million in spending and created a $550 million cushion for the end of the year. In December, the governor's office put out a press release to announce the budget changes, but it did not issue anything out on today's moves. When asked whether Corzine gave his blessing to the special municipal aid transfer, a Treasury Department spokesman said,"The budget remains balanced, maintaining a [current year] surplus of approximately $500 million." Corzine and his advisers accused Christie of pulling numbers out of thin air and insisted they left the incoming governor with a $496 million surplus. "Gov. Christie’s remarks demonstrate a poor temperament, and a casual relationship with the facts," said Corzine spokesman Josh Zeitz. "Being governor entitles you to do a lot of things, but fabricating budget numbers from whole cloth isn’t one of them." At issue is the validity of revenue projections for the ongoing $29 billion budget Corzine signed last June. A memo by Corzine Treasurer David Rousseau said that while the overall budget deficit was $1.1 billion -- including a revenue shortfall of $425 million -- a series of budget cuts and other actions left a $496 million surplus as of Jan. 14. Corzine advisers cast doubt on the projected revenue shortfall, saying Treasury does not routinely issue such reports because revenue collections can fluctuate wildly from December through April, especially in an unpredictable economy. Ratings agencies studying the state’s creditworthiness are particularly sensitive to dire forecasts, said Brad Abelow, Corzine’s former treasurer and chief of staff. 1) Has there ever been a less magnanimous winner in politics than Chris Christie? Has anyone in modern politics ever spent as much time blaming his predecessor for every fault in the world as much as Chris Christie? I seem to recall the conservative pearl-clutchers getting the vapors about Barack Obama daring to mention that he inherited the worst recession since the Great Depression; they can't get enough, however, of their golden boy continuing to run against a guy who's been out of office for close to a year. 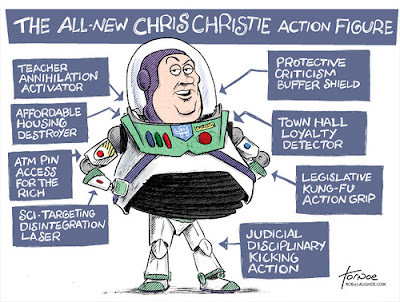 2) Is there a bigger megalomaniac American politics today than Chris Christie? Is there anyone who is as full of his own perceived greatness? The entire story he fabricates here is designed only to shine a spotlight on his "mavericky" ways. 3) Is there a bigger BS artist than Chris Christie? He just does not care about the facts. "We heard rumors..." Does he not care that it took a stupid blogger like me all of five minutes to find the links to prove this story is complete garbage? Does he think no one in NJ has a memory? Does he just not care? Hey, Senator Sweeney: how's that great relationship with the governor working out for you? Senate President Stephen Sweeney (D., Gloucester) also took the opportunity to call the governor's attacks on the Legislature childish and unproductive. "You know how silly it is?" Sweeney asked. "Let's knock off the garbage. Let's knock off the silliness. Maybe in Iowa and Ohio and California that makes for great headlines." The rancorous tone of the back-and-forth comments hint at a clear change in mood in Trenton in recent weeks. In the early months of the Christie administration, the Republican governor worked with the Legislature to adopt pension and benefits changes and pass a budget, among other measures. And just weeks ago, Christie praised Sweeney at a campaign event in California, with the governor saying he was "fortunate to have a really good partner in our Senate president," according to an account in the Star-Ledger of Newark. But lately, that collegiality has disappeared. How sad. Remember the good old days? By the way, Senator, if you're expecting public worker unions to help you pull the shiv out of your spine - well, good luck with that. On the same day that Schundler was testifying before the committee, Christie called a last-minute news conference to announce that he was canceling a long-planned rail tunnel to connect New Jersey and Manhattan. Sen. Barbara Buono (D., Middlesex), who chairs the oversight committee, said it seemed "rather strategic and somewhat suspect that the timing was right in the middle of my hearing." Still, Buono seemed to take the governor's harsh words in stride. "The governor is very good at attacking," Buono said. "That's what he does best. He goes on the attack, and he may think that is a good governing philosophy, but I don't agree. I just sort of ignore it and continue to do my job." It would have been nice to hear this kind of talk back in July, don't you think? TRENTON — Despite his repeated claims the Hudson River train tunnel was projected to run $2.3 billion to $5.3 billion over budget, Gov. Chris Christie has known for two weeks that the official federal estimate showed a cost overrun of as low as $1 billion, two people close to the project said. As the latest tunnel episode unfolded, the chairman of the Assembly Transportation Committee said his request for records related to Christie’s decision to cancel the tunnel failed to justify the governor’s claim of up to $5.3 billion on cost overruns. "That claim seems as though it was simply pulled out of thin air by the governor," Assemblyman John Wisniewski (D-Middlesex) said. "The governor is risking New Jersey’s economic future with numbers that, at least according to these documents, have no basis in reality." Among the hundreds of pages of documents Wisniewski received through his open records request was a monthly report, amended Oct. 5 — two days before Christie’s announcement that he was cancelling the project — that noted: "The overall project remains within budget." This is obviously the NJEA's fault. Mark Murray writes: NBC's Brian Williams sat down with New Jersey Gov. Chris Christie (R) for a piece that will air on "Nightly News" tonight. Per an advance excerpt, Christie criticizes President Obama for something Christie has won praise for: displaying anger. CHRISTIE: Where I've been most disappointed has been --I really thought he had the opportunity, even though I didn't vote for him, I thought he had the opportunity to be a transformational figure. I thought because of his charisma, because of the way he presented himself to the public and the things he said during the campaign and believed in, that he could in fact go beyond partisanship and where I'm disappointed is, I think he's being incredibly partisan. That's not say that Republicans haven't been partisan too, because they have but when you're president, your obligation, I think, is to set the tone and to embarrass others into changing theirs. At least someone in the Obama White House gives a damn about dead queer kids. I voted for her in the primary, but I did have my misgivings: I don't like the idea of family political dynasties, no matter how competent she is. Bruce Baker and the ELC have published a very important report on school funding fairness. It's an issue that needs to be considered in the current "reform" climate, especially here in NJ. 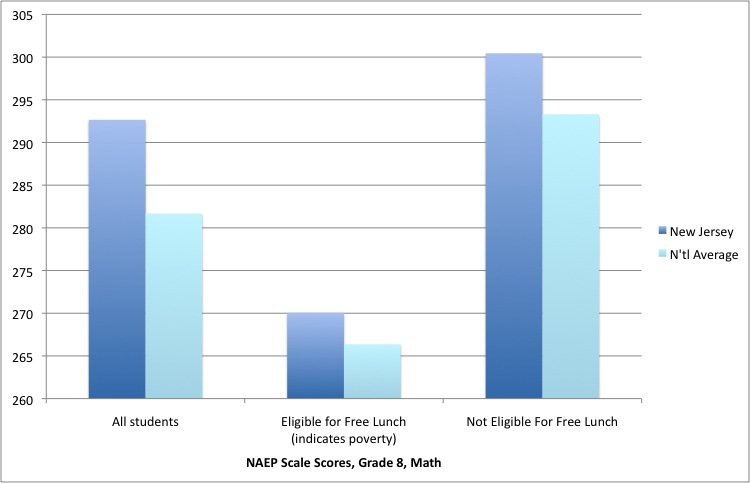 In fact, the National Report Card could hardly put NJ it a better light: we not only provide a lot of money to the schools, we distribute that money more equitably among wealthier and poorer districts than just about any other state. But what happens when you cut the total pool of funding? I always thought that this was where Christie was headed: he was moving the pieces into place for a 'burbs-vs-cities education funding war. He'd end all state funding going back to the 'burbs, his base would get pissed, and he'd have public opinion behind him to overturn Abbott or SFRA or whatever it is that sends money to city schools. I thought that was what the whole point of the John Wallace controversy. But it really hasn't played out that way so far. The photo-ops with Cory Booker, the charter school push, the war with the NJEA - none of it has really led to a message for the 'burbs that says, "Blame the city schools for your taxes!" It's all been the greedy teachers' fault. But just wait - it's coming. He will stab Booker in the back and gut state funding for Newark schools faster than the time it takes him to put on his makeup for his next Morning Joe appearance. He did it to Sweeney and he'll do it to anyone if he feels he can get a few political points. Anyway, read the report; it's important to think about this going forward. Toolkit Gets Out Those Stubborn Stains! More Teacher Layoffs, Coming Right Up! The Elite to Teachers: Sorry, Suckers! "Mallomar" Al Doblin: NJ Schools Are "Eh"
Part II - What the Helsinki? Newark: Home of the $24K Lie! Potosnak is a Chorister! YES!! !